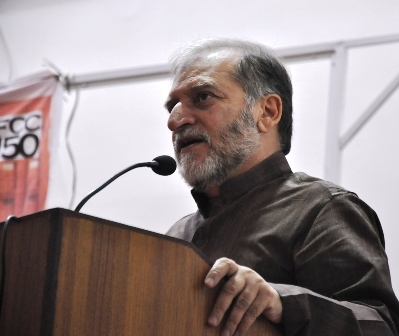 On 14 April 2014, GHS invited renowned columnist, intellectual, poet, bureaucrat and social analyst Orya Maqbool Jan to deliver a lecture on the Role of Media Against Terrorism. Mr Orya talked about the media, the stereotyped images which it creates and how these images influence the audience and viewers. By providing some important figures, he also explained about the manipulative power of broadcasting agencies and their agenda. 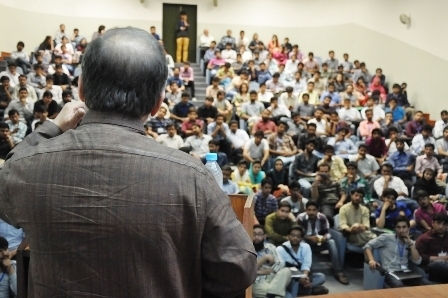 Mr Orya said that the media works to serve the agenda of multinational corporations whose purpose is to bring a uniform culture across the globe, which is the most effective way to maximize their profits across the globe. 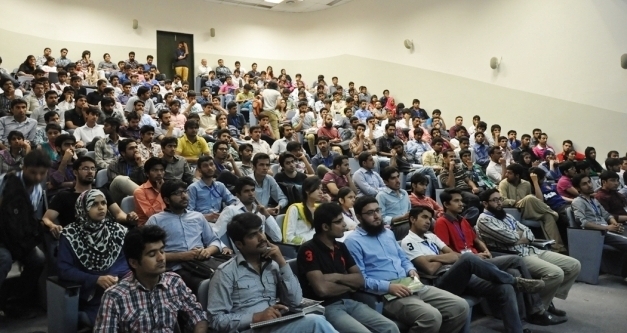 After the lecture, there was a question and answer session.